Everyone needs to eat, and as much as we'd all like to most of us can't eat out for every meal. 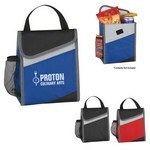 This makes having a way to carry your lunch and keep it either warm or cool a valuable commodity, one that you can provide to your staff or customers with the help of Promotion Pros! 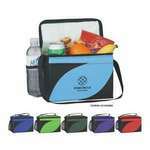 Our 24-can convertible duffel cooler holds 24 cans plus ice and is a great freebie to hand out at company picnics. The 9 can stealth cooler has a fully insulated main compartment with heat-sealed liner and is a great item to give away at industry expos. The Access Kooler Bag ensures that you always have access to insulated beverages at all times. 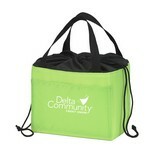 Screen print your business logo on the bag, for cost-effective brand promotion. The Amigo Lunch Bag is ideal to keep your lunch contents well insulated at optimal temperatures. The lunch bag is made of70D polyester material, with PEVA lining. The BUILT® Gourmet Getaway™ Lunch Tote is a classic accessory that you will love to carry and flaunt where ever you travel for it greatly compliments your style with its lovely exterior design. Made from protective neoprene wetsuit material, it insulates up to four hours depending on external temperatures keeping your lunch fresh and piping hot for consumption. The Byo By BUILT® Rambler™ Lunch Bag delivers a fashion statement with its innovative fantastic design and makes for an accessory to flaunt when you walk into office. The Neoprene lunch tote Insulates up to three hours depending on external temperatures and can be easily machine washed cold and drip dried. 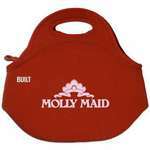 Swing by or hop skip and jump into any party carrying your beverage in style in the Byo By BUILT® Two Bottle Bag. 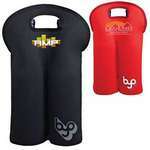 Crafted from Neoprene the Bottle Bag insulates two 750ml-1L wine bottles up to three hours depending on external temperatures. 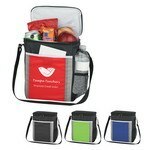 The Cafe Kooler Bag can hold food, drinks, and snacks, fresh and cool. 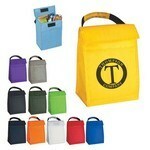 Imprint your business logo on the bag, to boost brand promotion. The camouflage 12-can convertible duffel cooler is fully insulated with a waterproof main compartment and is a great swag item. 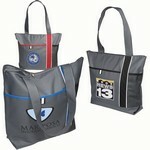 City Scape Tote is a chic tote made of 600d polyester. It has a zippered main compartment and front pocket with Velcro closure.